The National Hellenic Society (NHS) has collaborated with the National Hellenic Museum (in Chicago) to create a couple of projects that will preserve Hellenic heritage in America. These projects are just two more ways the NHS is involved in making sure generations to come have access to their history. Here’s what you should know about this important collaboration. The NHS was established to preserve the rich Greek heritage. Members of the National Hellenic Society include accomplished women and men of the Greek American community. The NHS prides itself on perpetuating the values and ideals of the Hellenic heritage, which include knowledge, education, civic responsibility, and the arts. The NHS strives to support programs around the country that help to preserve Hellenic heritage through education, the sciences, philosophy, music, democracy, and much more. The Hellenic Museum is the second-oldest American institution dedicated to preserving and celebrating Greek culture. Chicago has one of the world’s largest Greek populations, so it’s no surprise this Museum is not only thriving, but has moved to a larger space to accommodate all it has to offer. The 40,000-square-foot space connects the past, present, and future of Greek history, culture, arts, and the Greek American experience. The National Hellenic Society and the Hellenic Museum of Chicago are collaborating on a couple of important projects that are aimed at preserving the Hellenic culture and history in America. The first project is entitled The Spirit of the Marathon. 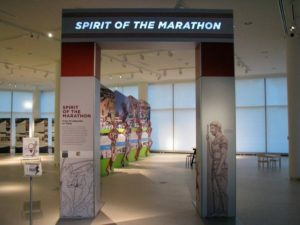 The Spirit of the Marathon is an exhibit that focuses on Pheidippides’ 26-mile run. It is said that in 490 BC Pheidippides, who acted as a courier, ran 26 miles to Athens to deliver news that his people were victorious over the Persians at Marathon. The Spirit of the Marathon has been created as a traveling exhibit by the Hellenic Museum and sponsored by the NHS. The hope is to share the story with mainstream audiences at different venues. The second project is the Oral History Project. The National Hellenic Museum is undertaking this project to collect, catalog, and create online versions of interviews of Greek Americans that future generations will have access to. The National Hellenic Society is contributing to this project by compiling stories of the prominent Greek Americans that make up their membership, as well as using their connections to with other organizations to conduct interviews. The Hellenic Museum is able to store as much as can be gathered and archived. With the creation and collaboration of these two projects, the hope is to preserve, teach, and celebrate the Hellenic heritage for generations to come. This collaboration is important to the preservation of the Hellenic heritage across the United States. 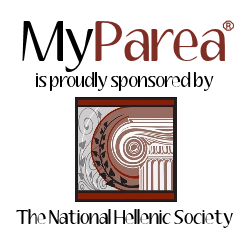 It is a chance to not only share the culture and history with Greek Americans, but with anyone who has an interest in learning about the Greek culture. To find out more about the National Hellenic Society, visit nationalhellenicsociety.org. To learn more about the National Hellenic Museum, visit nationalhellenicmuseum.org. Do Greeks Cook with Wine?